The Chinese telecommunications manufacturer is bringing the Northern Lights to the skies of London this weekend to mark the UK launch of the new Huawei P30 Series and new 'Aurora' colour. 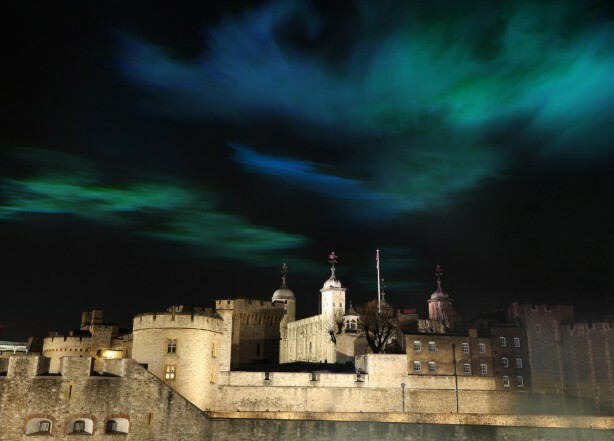 Lighting up the night sky above the Tower of London, the global tech giant commissioned immersive artist Dan Acher to recreate the Aurora Borealis, which occurs most prominently near the Northern and Southern poles. The natural phenomenon is the result of the sun's influence on the Earth's magnetic field. According to research carried out on behalf of Huawei, witnessing the Northern Lights is top of UK millennials' ‘experiences’ bucket list. The concept was created and produced by consumer PR agency Frank. Anson Zhang, managing director, Consumer Business Group, Huawei UK, said: "What better way to showcase the unparalleled photography capabilities of our flagship smartphone than to recreate the breath-taking natural phenomenon of the Northern Lights in London. Featuring technology that allows you to capture every detail and vibrant colours, even in the darkest of conditions, you’ll be sure to capture our London Lights in all their glory with the Huawei P30 Pro handset." The installation will be open free to the public on both Friday evening (April 5) and Saturday evening (April 6) from 8pm to 10:30pm. The Huawei P30 Pro handset will also be available for attendees to try out in order to photograph the faux aurora.